Finding the motivation to sit down and write can be difficult. Maybe all your drafts feel repetitive. Maybe that empty page brings butterflies to your stomach. Maybe the siren song of the internet is more enticing than an hour or two of free writing. Even for those who love to write, it can feel like a chore. Remember though, writing is a form of art. It takes practice, just like anything else. Today is Encourage a Young Writer Day, and as some of our staff members are avid writers, we have some advice and encouragement for you! 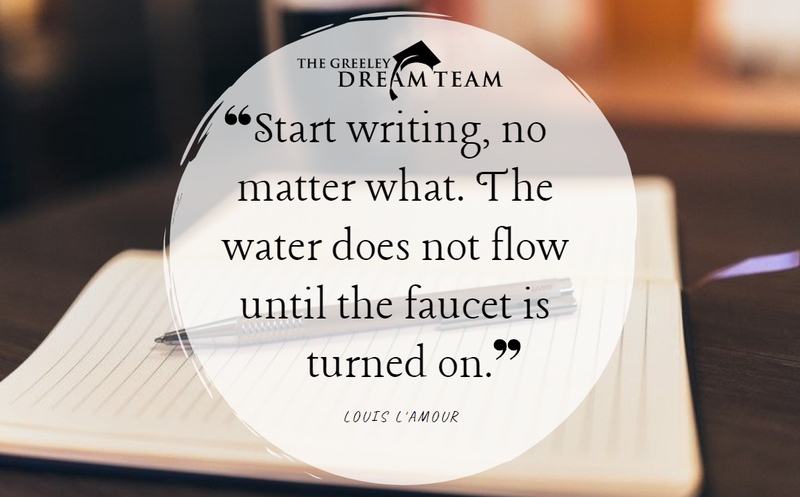 Overall, some of the best advice we can give you is to write and read. What you choose to read will impact what you write, especially if you love it. If you don’t know what to write, read what you wish you could have written. This will help you recognize what subjects you’re passionate about while learning more about them. You may find a hidden love for biographies, mountaineering, or cooking just by adding variety to what you read. Reading is like research for a writer, so don’t be afraid to get busy reading! Write for the sake of writing. Just keep going. If lines of nonsense turn into paragraphs of nonsense, that’s okay. As long as you write, you will improve, and keep going as long as you enjoy it. I Got Accepted to College…Now What? We’re Hiring a Program Coordinator!